The cold air that whiffs of isopropyl alcohol, in hospitals function as salient reminders that we are heirs to humanity’s perpetual struggle to ponder the metaphysical. It is the place where time stands still in deafening silence reminding us of our frail mortality that is rendered to meet its terminus in a veiled yet appointed deadline that we will only know once we are there. This was the thought that he had in mind as he reclined from the bench and felt the cold steel of the bench’s armrest rub against his dry skin in this ungodly hour at the hospital where nothing but the symphony of pulsating instruments fail to lull him into slumber. It was dark and the atmosphere was despondent due to the fact that earlier he had heard a song from the Norwegian band, Fra Lippo Lippi, to which the line: "Life it seems, sleeps away just like any dream," resonates, unceasingly like a siren who's screeching sound seems untouched by the doppler effect. 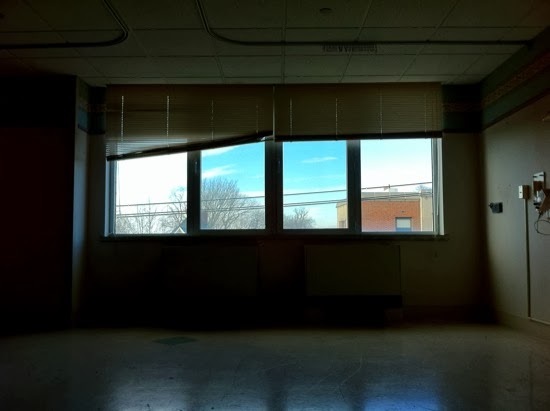 It was hours of dragging and eager anticipation in the dark, cold and desolate aisles of the hospital when suddenly beams of light pierce and make its presence felt in the darkness of the room where he lay confined with uncertainty. It was there after long hours of restless waiting that he heard what could have been music in the words of the doctor who uttered: "you are fine, all will be well its time to ask your companion to process the discharge papers, you’re going home."